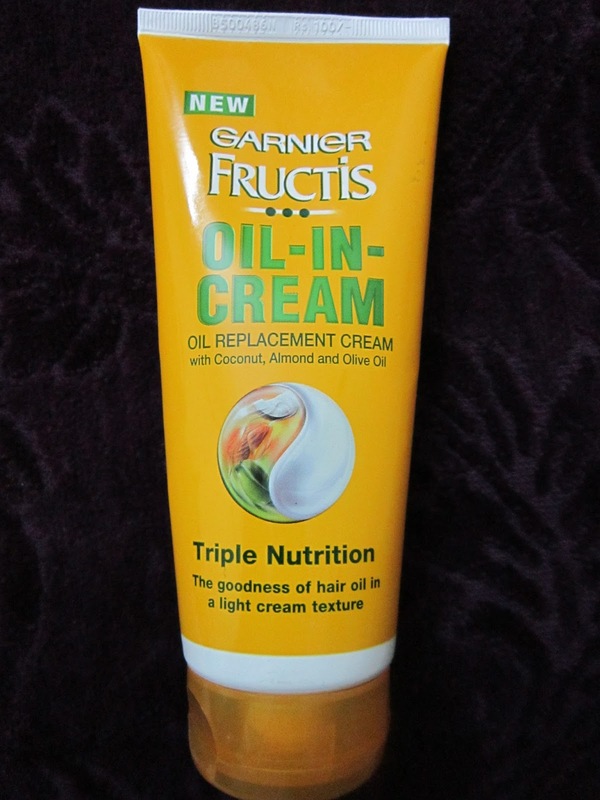 Today I’m here to review the Garnier Fructis Oil-In-Cream. Many of you reading this might have already read reviews about this online or used it already, so I’m going to make this short ‘n’ sweet, while sharing my views. Texture & Formula – The texture is basically between a cream & a gel. It looks like a cream but isn’t thick or sticky like one. It’s texture Is light like a gel, but the product isn’t transparent like one. It melts quickly in the palm of your hand when you rub your hands together. If you’re someone who wishes to avoid a mess, you can also apply this directly from the tube on to your scalp. I prefer to take out some of the product into my palms & rub them together to melt the product so that it spreads better on the scalp and hair. My experience with the product – I really like this product when I don’t have time for an elaborate oil-massage. With a 3yr old lil hurricane in the house, I cannot sit down with a bottle of oil & spend 20mins in an oil-ritual; this would spell doom for the floor, home furnishings & little bones as well!! I like this product for its simplicity, ease of use and price. Before wash – I have tried applying it this way, about 20-30mins before the washing my hair. It does make my hair soft to an extent, after a hair-wash.
After wash – Honestly, I haven’t tried it out this way. I don’t like the idea of anything but a serum on my towel-dried hair. If you have tried it out this way, do leave me comments telling me your experience. Overnight – I LOVE using it this way! 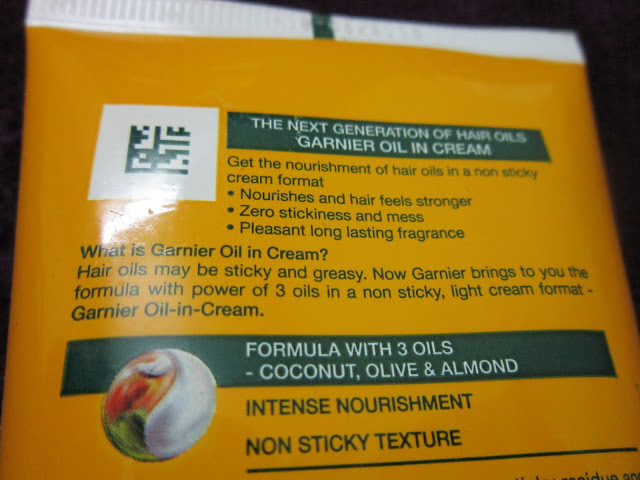 I was brought up with the idea of leaving oil in my hair, overnight & that’s how I love using this product too. And believe me, it DOES make a difference. It allows the hair to soak in all the goodness that the cream has to offer, making it so much more soft & manageable after a wash, the next day. Not a substitute for OIL (I mean come on! Would you really give up on a good ol’ Champi / Tel Maalish – with real ‘tel’?). Well, that’s the only so-called CON I can point out. I would never give up the ‘real deal’ for this product. The Garnier Fructis Oil-In-Cream, for me, is an easier alternative on days that I don’t have the time, space or patience to apply oil. For 100 bucks (a smaller tube is available for Rs.60/-) I think you should definitely give this a try!! Hope you liked this quick review. If you have used the Garnier Fructis Oil-In-Cream, do leave me your thoughts on the product, in the comments section below. I’d love to hear from you. I was thinking to try this atleast once n now your review surely made me to buy one. Nice review Neha. I am using this product myself and i do agree it doesnt replace the good old champi. Also for dry you need quite a bit of quantity for the overnight application. 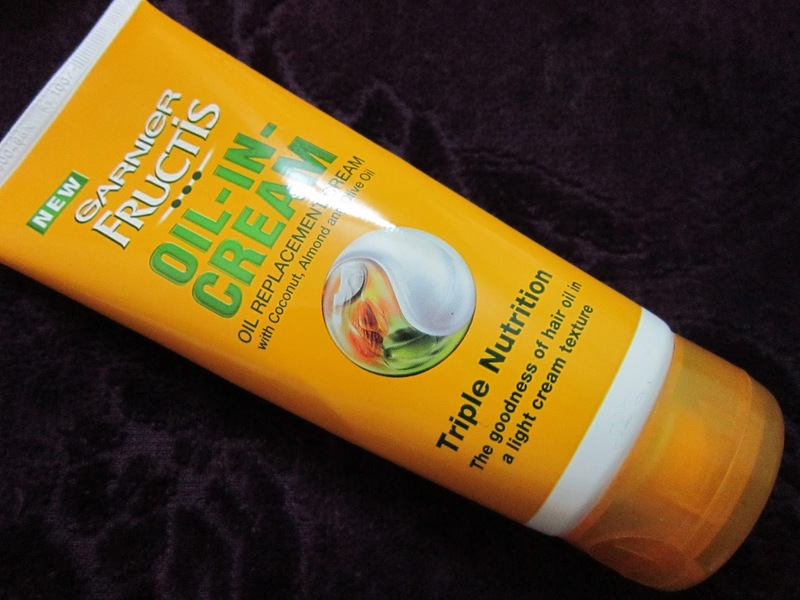 True Aparna, since it's a cream you might need a little more than usual for extra dry hair. But the results post wash next day, make it worth it..! When I had longer hair, I got almost 6-7 uses out of the bigger tube. Post my hair-cut, I dont need that much product.